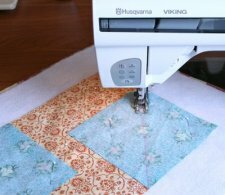 "I decided to do a "Quilt As You Go" pattern for my tutorial in the blog hop to celebrate my new book that just came out last month, Fast & Furious - Quilting as You Go. It has 17 smaller projects in it that are all done with the quilt as you go method. Included are table runners, baby quilts, placemats, bags and coasters and many of them are done with the precut fabric cuts out there (charms, jelly rolls, honey buns....). Do you like this project by Gudrun? 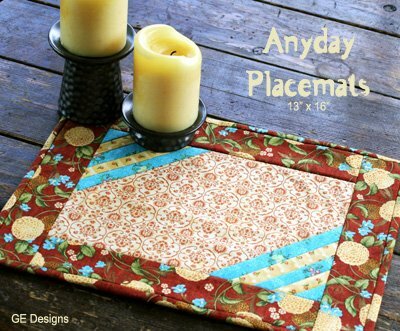 What do you think of this placemat?